5	 QUANTUM OF SOLACE -EV	 9GO! 2	 QUANTUM OF SOLACE -EV	 9GO! 3	 QUANTUM OF SOLACE -EV	 9GO! Was expecting higher for MAFS but there is still another week to go. The Project and SN…oh noes! The AFL helped Seven News and MKR. Has 9Life got 4% before? No. 1 multi-channel for a Sunday night. 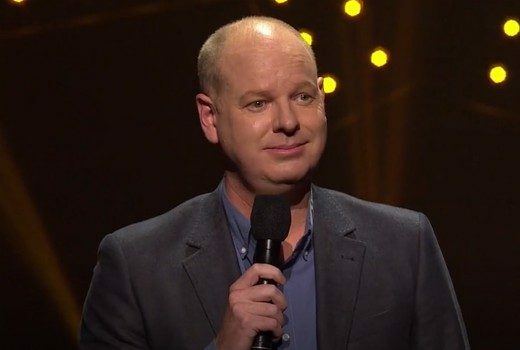 The Melbourne Comedy Festival gala rated lower than last year’s 366,000, while the AFLW Grand Final was up on last year despite another lopsided result. The AFLW was No.1 in the afternoon in Adelaide and No.3 overall behind Seven News and Married at First Sight. Takeaway under 218k viewers and out of the Top 20 is not good. The Aflw gf that drew 277k wasn’t too bad, despite having a record women’s aflw crowd at Adelaide oval. Surely 10 need to act on their Sunday lineup? Surely anything would rate better than what they currently have? Surely anything would rate better than what they currently have? Takeaway hit a season low and ranked 21st. The seems to be an error with 10 News First coding - it should have ranked 18th (pushing Takeaway to 22nd). That’s good, isn’t it? At 75% of the AFL figure. What time was it on? Takeaway is terrible, I am not surprised that it is continuing to sink, I still don’t get the purpose of the show it just seems to be a bunch of promotion for sponsers and prize giveaways. It’s just a snore fest. They probably want to see if Takeaway does any better without MAFS. There are only meant to be a a few more episodes in it’s first run anyway. Although once MAFS ends I think Ten should move DWTS to Sunday’s so BIP can then run Mon-Thurs for the next few weeks. Then if they really want to persist with Takeaway it can run off the back of DWTS on Sunday at like 9pm. When Married at First Sight ends there will only 3 episodes to go for DWTS (its grand final is on April 23), so it’s meaningless to move DWTS to Sundays anyway. Not under, it did that. But yes that means nothing, still a shocking audience. Back to the drawing board for Seven and 10. Probably the best Seven can do with their schedule is two shorter regular seasons of MKR like what The Block used to be like for a few years that MKR was dominant, until they find something they can fight MAFS with. 10, well they’re trying everything, but at the wrong place and wrong time. Their programs aren’t bad, just at the wrong time. Celebrity should still be against MAFS and their new shows should be at the back half of the year. Is this one of the worst examples of coding programs? ABC split last night’s Comedy Festival gala into five segments! How to code a 2 hour show into 5 different numbers. I don’t really understand why they would split it in 5 though. Ratings figures are not their priority so it seems a little confusing what the intentions are. DWTS is not rating amazingly (450-500k) so moving it is not a huge risk even just for 3 weeks. It can’t do much worse on a Sunday and the people who are invested in it will still watch it on a Sunday. The only issue might be that some contestants have commitments on weekends so it might not possible to move from that perspective but I’m sure it can be done. Takeaway is significantly underperforming. Ten can’t keep having a show rating 200k in a Sunday primetime. If they are committed to persisting with it I think it’s best chance is in a later timeslot with a better lead in. So having it on Sunday’s at 9pm with DWTS as a lead in can only benefit it. It can’t do any worse. DWTS on a Monday means that BIP can’t air until Tuesday and means they will probably only air a couple episodes a week. In my opinion Ten need to smash out the BIP episodes over the next 4-5 weeks so they can then jump into Masterchef. It will build momentum for the network.